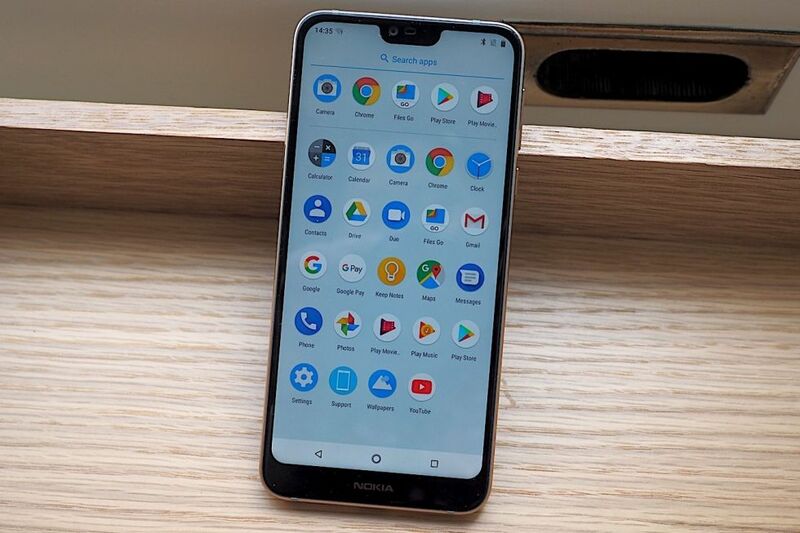 HMD Global’s latest Nokia smartphone, the Nokia 7.1, was unveiled last week. Fans of the brand will be excited to know that this one will be available at retailers that sell cell-phones in the US. The mid-priced Android gadget boasts a durable design, which the brand is well known for, using extruded aluminum that feels like a solid piece of metal. The Nokia 7.1 smartphone has a 5.8-inch, 2280 x 1080 HD display that can support high dynamic range content. This means that users can experience greater clarity and color accuracy in images and videos. In an interview with Forbes, Juho Sarvikas, HMD Global Chief Product Officer, mentions that the device introduces the PureDisplay screen technology that gives users a premium viewing experience. SDR content can be viewed in HDR, which is the brand’s response to the growing trend of mobile video watching among online users. This phone also comes with Snapdragon 636 SoC. In terms of capacity, buyers have a choice between 32GB with 3GB of RAM or 64GB with 4GB of RAM. Both options should be adequate to run your various apps, although they tend to feel a bit slow if you’re used to a more high-end unit. The Nokia 7.1 has Android 8.1 Oreo pre-installed, but in succeeding weeks this will be updated to Android Pie. In contrast to other smartphones with fewer add-ons, with the Nokia 7.1 you get a headphone jack, USB-C port, and a MicroSD slot. The brand has also added a fingerprint reader, and while it’s not the snappiest under the finger, it works well enough to be a convenient feature. Nokia 7.1 has a dual camera setup on its rear, with the primary shooter having an improved light-gathering capacity. The manufacturers say that the camera performs better at low-light photography than its predecessors. This smartphone has a “bothie” mode where you can use the front and back cameras simultaneously. As with other Nokia builds, this is as durable as you can get. The aluminum frame combined with the glass panel presents a nice, sturdy build. However, the glass picks up fingerprints, marring what would otherwise be a sleek look. The design features a two-tone color treatment, with the main body either in dark blue or silver, while the edges show either silver or copper accents. 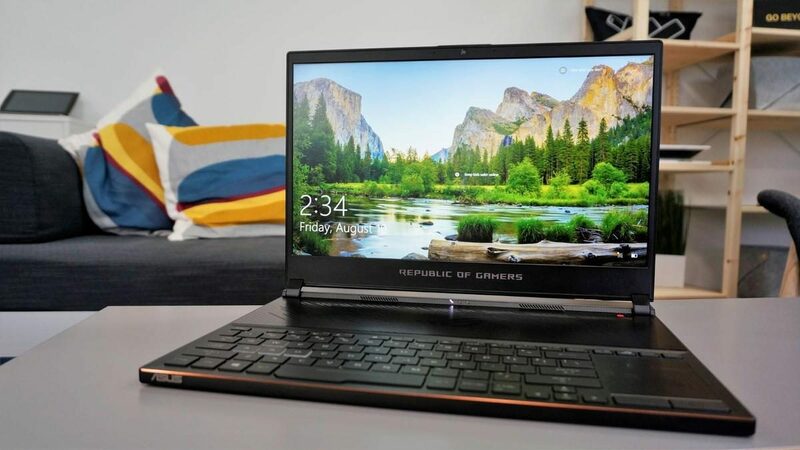 With a USD 350 price point, this device is a great option in the US, where not many brands can compete with such an affordable but functional offering. In fact, most phones in this price range have minimal software support and have little design impact to satisfy users. With a promised software update to Android 9 Pie by the end of October, the Nokia 7.1 will be a stylish, durable, and up-to-date device. As a mid-range option, the Nokia 7.1 is a well-built, practical smartphone with powerful software encased in solid hardware. This is another quality model from the brand, and it can easily be among the best smartphones of the year. Since August, the entire tech world has set its sights on LG’s newest flagship, the V40 ThinQ. Truth be told, LG’s V series has always made the news because of its prolific launches. The new five-camera flagship phone is definitely no exception. The tech company launched its LG V30S ThinQ just last March. Then, it followed up with its LG G7 ThinQ in May. Then, more recently, it launched the LGV35 ThinQ in June. While LG’s recent mobile strategy indicated it would “row back” on smartphone launches, the company saw critics give its recent releases some positive notes. Without further ado, here is everything we know about LG’s V40 flagship phone set for release this October. The LG V40 ThinQ launch is taking place on October 3, 2018. If you’re planning to head to New York for the event, that date’s going to be on a Wednesday. The Verge was the first to announce LG’s V40 ThinQ launch date in New York. However, this was the only date and city announced. LG is likely to host launch events in different other countries – probably one in their home country South Korea, and one in a European country. We’ll have to wait and watch out for other release dates upon their announcement. Will It Cost a Fortune This Time? The LG V35, its most recent release, had a price of $900 upon going on sale. We don’t think LG will skimp on the price of its newest phone. So, be prepared to shell out some big bucks once again. Tech Advisor UK estimates the price to be around $1000. This is likely to be the amount given that the Samsung Galaxy S9 will cost you around the same amount. 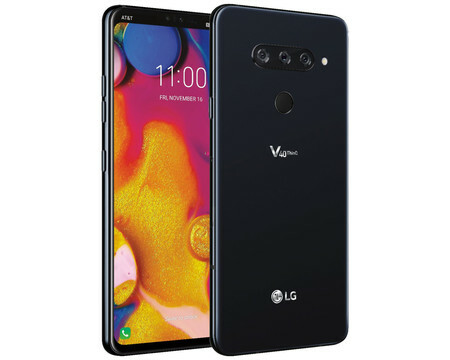 The LG V40 ThinQ had recent advertisements featuring the South Korean boy group BTS showing off its major features, such as the acclaimed 5 cameras in the device. According to Pocket Lint, the LG V40 ThinQ would feature a 6.3 or 6.4-inch QHD+ Display with a 19.5:9 ratio. Just like its predecessor, it would have a P-OLED display. As per its commercial, the cameras will utilize the “ThinQ Moniker,” which makes it easier to take the best selfies and shots. We believe the V40 surpasses the earlier V35 in many possible ways. Looking at the V35’s specs, you can say the V40 ThinQ’s upgrade is definitely major. This should serve as one of the deciding factors should you consider saving up for this new offering from LG. At Apple’s annual September gathering, they finally unveiled the three highly-anticipated iPhones of 2018. The iPhone XS and XS Max are the latest flagship devices. The entry-level iPhone XR succeeds the iPhone 8 and iPhone 8 Plus with its Face ID and edge-to-edge display. Apple wasted no time assuring people of the massive upgrades that are underway. But they didn’t beat around the bush. Apple has made it pretty clear that the updates don’t come cheap. Before you sell cellphone units you’ve barely used and upgrade to one of these latest devices, let’s have a quick look at each model. 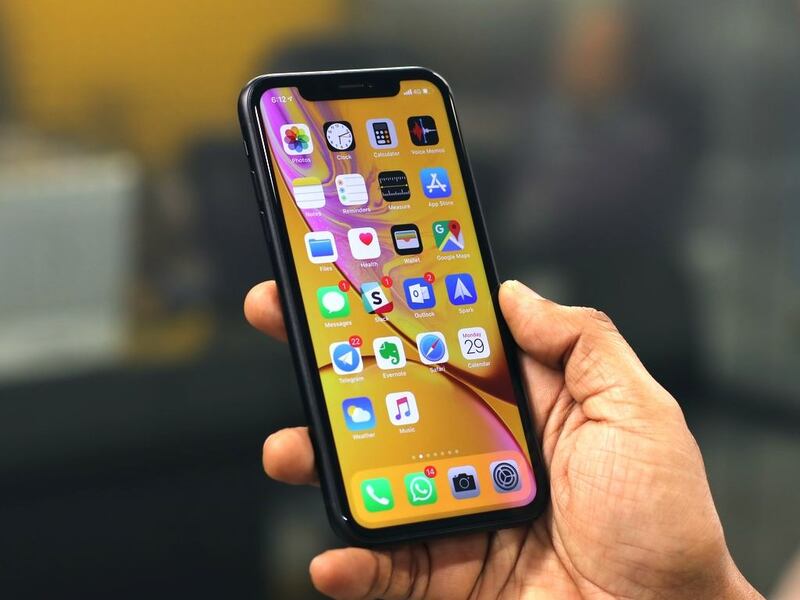 Apple’s latest flagship smartphones, the iPhone XS and XS Max, are the exact same device but with different screen sizes. The iPhone XS has a similar design and body as its predecessor. Like the iPhone X, it has a 5.8-inch OLED Multi-Touch display with stainless-steel sides. Its slightly bigger sibling, the XS Max, has a 6.5-inch OLED Multi-Touch display. Apart from that, the smartphones differ in terms of price. Both smartphones have dual 12-megapixel wide-angle and telephoto rear cameras similar to the iPhone X. They have an IP68 rating. That means the devices can be submerged in water at maximum depths of two meters for up to 30 minutes. They are equipped with Apple’s new A12 Bionic processor, which the tech giant claims to be 15% faster than the A11 chip that’s powering the iPhone X. The smartphones are available in silver, space gray, and gold. The devices are available in 64 GB, 256 GB, and 512 GB. The iPhone XS starts at $999 while the XS Max starts at $1,099. Apple’s iPhone XS and XS Max are currently available for preorder. Shipment starts on the 21st of September. A more affordable and colorful alternative to Apple’s premium smartphone line is the iPhone XR. This entry-level device starts at $749 for 64 GB. It has a 128 GB variant that’s available for $799 and a 256 GB option that costs $899. The iPhone XR is built with a 6.1-inch Liquid Retina display. Unlike the XS and XS Max, its body is made with aluminum and glass. In terms of tech capabilities, the XR is believed to be somewhere between an iPhone X and iPhone 8. It only has a single rear camera, a 12-megapixel wide-angle shooter. It comes with advanced Face ID. Like the premium iPhone models, it’s powered by the new A12 Bionic chip, making it 15% faster than last year’s flagship device. Its battery also received quite the upgrade. The new model can last 1.5 hours longer than the iPhone 8 Plus. 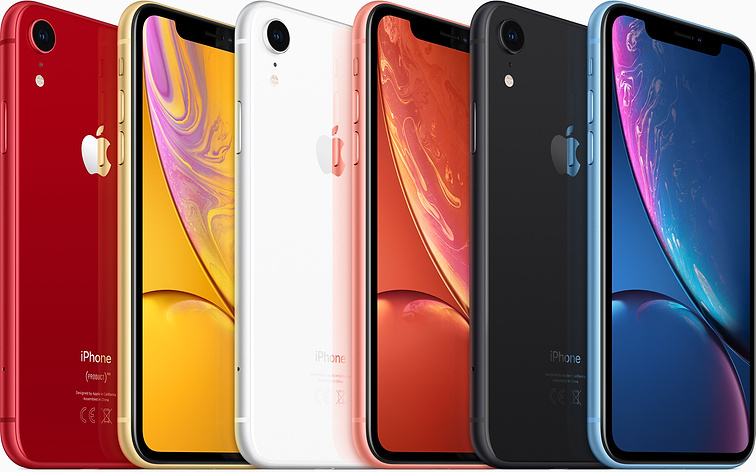 In addition, the iPhone XR comes in six vibrant colors, reminiscent of the iPhone 5c. The smartphone is available in white, black, coral, yellow, blue, and (PRODUCT)RED. Preorders for the iPhone XR will begin next month on October 19, and shipment will start on the 26th.